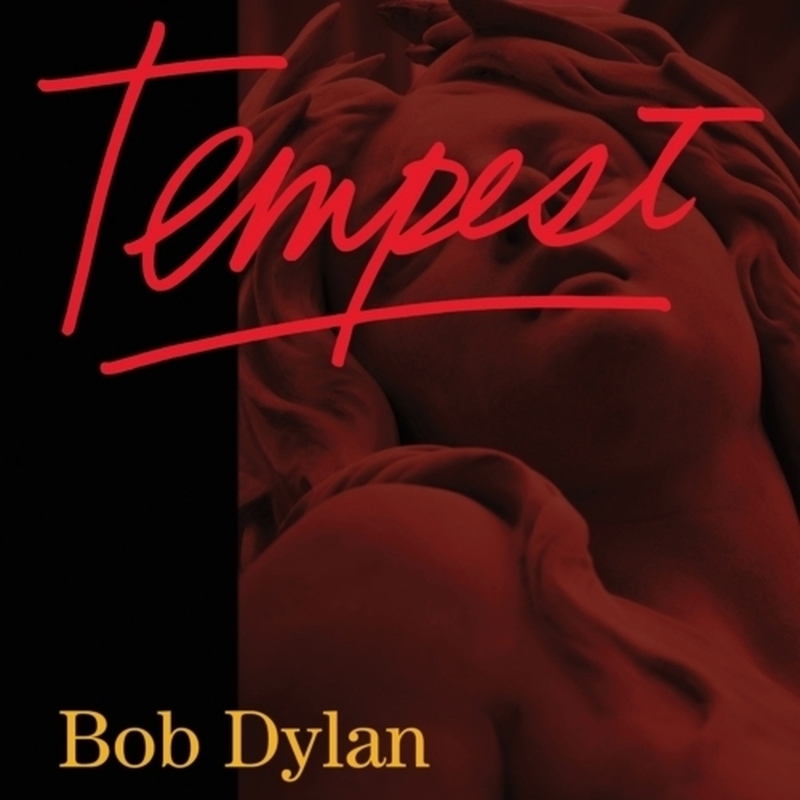 TEMPEST by Bob Dylan: I didn’t really like or get Dylan until it was way late. Like MODERN TIMES (2006) late. Sure, he sounds like a Muppet and his songs are more mysterious than they probably need to be…but the man’s a genius when it comes to writing songs that work just as well as poems. Think about your all-time favorite song–would it make a very good poem? Chances are no, it would not. Dylan’s always like long, rambly story-songs but his latest album TEMPEST takes things to a whole new level. The album is nothing but long story-songs. His voice even more craggy and ragged than usual. The last two albums, the before-mentioned MODERN TIMES and TOGETHER THROUGH LIFE, have had a 1930’s/1940’s vibe to them. TEMPEST seems more traditional folk/blues, with none of the period flourishes from before. I’ve read that TEMPEST is going to be the “last Dylan record” which is a shame because this doesn’t really feel like THE END. Of course, I would have no way of knowing what the end of Bob Dylan would sound/feel like. Regardless, I’m not going to lie: this is pretty much for hard-core Dylan-ites. Sure, there are a few tracks that might please a general audience, like the bluesy “Narrow Way.” The song has my favorite line of the record: “If I can’t work up to you/you’ll surely have to work down to me someday.” That’s both really funny and really poignant if you think about it. This song seems to be written for any man who’s ever loved a woman way, way, way out of his league. As awesome as this song is, “Narrow Way” clocks in at over 7 minutes, which may test the patients of all but the super-devoted. I guess you could say that about pretty much all of TEMPEST, which is a shame because there is a lot of really good lyrics peppered throughout the album. Part of me wishes that someone had edited some of this material down–but to be honest, Dylan has earned a little indulgence. Both “Pay In Blood” and “Long Wasted Years” are fabulous anthems for the tired and crotchety that, quite frankly, would be less effective had they been shortened/watered down. So pull up a chair and listen to grandpa Dylan sing you story. Sure, he might prattle on a little too long, but when he’s good….he’s good. As “Roll On John” ended I felt as though I’d lost two music hero’s: Lennon and Dylan. If this really is the final Bob Dylan album, then it’s also the end of a major-era. Not only in music/art but in pop culture. There has never been a time in my life where there wasn’t Bob Dylan. Remember this day, folks. Dylan has to be one of those guys who picks up a guitar, starts writing a song and says, “Why write three verses and a chorus when sixteen will do?” I get really frustrated with him in a lot of his later work because he meanders so damn long you lose those great lyric gems in the murk. I agree with everything you’ve said. Every so often it’s good to overlook his tendency for self-indulgence though, because the man knows how to turn a phrase. I’ve said it before and I’ll say it again: the biggest mistake Bob Dylan ever made was surviving the 60’s. If he’d have kicked the bucket at the end of his folkie-prime (just before he found Jesus) I honestly think people would have formed an honest-to-God (pun intended) religion around the man. Whenever I hear someone talk about Lennon or Cobain and they say, “Man, just think of the music they might have made!” I always point to SAVED and SHOT OF LOVE…hell, throw in CHRISTMAS IN THE HEART. I’m not saying that I wish he’d have died (I don’t wish that for anyone), but I think if he’d have died you would have friends and co-workers who were practicing Dylan-ites (or some such thing). Look at how much Lennon and Bob Marley have been deified…now imagine what would have happened to Bob Dylan if he’d have chocked on a harmonica in 1968. Anyway, I 100% guarantee that when old Bobbie does pass, his stock is gonna climb 100000% with the critics. He’ll be so gold plated even CHRISTMAS IN THE HEART will sound good.